Brisbane, October 21, 2014 (Alochonaa): We all awoke this morning to a shock. I have to confess, I am unashamedly a Whitlam devotee – judge me how you will do. The passing of Gough Whitlam is the first time the loss of a public figure has made me shed a tear, I admit it. Younger people may wonder what the fuss is all about. Who was this guy Whitlam and why is his passing so important to so many? To answer that question, you need to return to an Australia where our First Peoples were barely tolerated by a proportion of the population. You need to then return to an Australia where Gough Whitlam symbolically poured sand into the hands of the heroic Vincent Lingiari. You need to return to an Australia where women were barely tolerated in the workforce by a proportion of the population and were underpaid for their efforts. You need to return to Australia that had mired itself in a South Asian war that it should not have entered. You need to return to an Australia where higher education was largely reserved for those who could afford it. You need to return to an Australia where universal health care did not exist. You need to return to an Australia that had an arts community that barely existed. You need to return to an Australia that had capital cities that did not have sewers for waste disposal for its residents. Need I go on, does this feel like a time-warp? The issues go on and on about how the Whitlam Government modernised the old creaking Australia and changed it forever. The conservative elements in Australia today will speak of a golden age that existed pre-Whitlam, where everyone knew their place and things just worked so beautifully. For one I do not wish to return to that world. Then I turned the radio on this morning. I heard generosity of spirit from his former-foe, ex-Prime Minister Malcolm Fraser. As time moved on the two old men had so much in common, their views on foreign affairs, indigenous issues, asylum-seekers and our subservient behaviour to the United States echoed one another over and over. I also heard nastiness from one right-wing commentator on the same ABC program, no doubt included in our age of eternal balance. Largely all he could do was focus on Whitlam’s mistakes. Many of these issues were exaggerated by this commentator and others were just false. 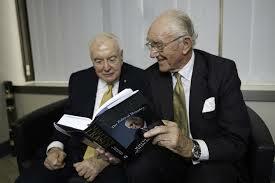 When Malcolm Fraser was asked this morning about Whitlam’s weaknesses, he replied that today was not the day for this. Malcolm Fraser sounds like a statesman and a leader. 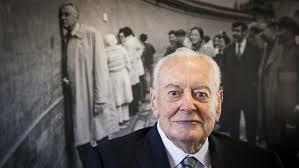 Today our current Prime Minister Mr Abbott released a statement saying in part, “Gough Whitlam was a giant of his time.” This understates his contribution to the Australian way of life. 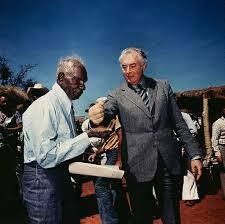 Whitlam was and is a giant forever. Mr Abbott’s statement reduces Whitlam’s effects to a brief window. Gough opened a window, it stays open and it cannot be fully closed by this or subsequent governments. Australia was changed forever. Many of today’s leaders seem devoid of ideas, to inspire and invigorate an electorate more cynical about politicians and issues more generally. The electorate has changed and the focus in Australia today seems very inward-looking. Take for example our cuts in spending on foreign aid, our attitudes to asylum seekers and our recent response to the Ebola outbreak in Africa. Whitlam and Fraser would have both been more generous about these issues. Now more than ever we need a leader with ideas. We need a leader with energy. We need a leader who adopts the mantra of “when you are faced with an impasse you have got to crash through or you’ve got to crash”. Can you really see that happening today? As I argued recently, Australians (like most people but perhaps more than most) have a preference for the status quo and change is distrusted and looked upon with suspicion. What Whitlam did do in opposition was develop a complex list of reforms that he called “the program”. “The program” was kept on a sideboard in the Cabinet Room and as each change was made, it was ticked off the list and reverently placed back onto the sideboard. Nor surprises there. Whitlam changed the nature of the power of the federal government. He changed the office of the Prime Minister forever. He reformed the Labor Party. He reformed and he reformed. He made many mistakes and he tried to do too much, too quickly. Mistakes can be focused on later, today is a day for remembering and celebrating. So to young Australians, he widened the horizons of young people from poor backgrounds. He made them see the possibilities of their life and how they could make Australia a better place. He made them and others see what it was like to be a proud Australian. That in the end is his greatest contribution to this country. He wasn’t just part of a zeitgeist, he was a zeitgeist. After all, no other Australian politician is referred to and recognised by their given name alone. 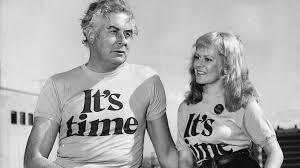 I fear that Whitlam was a “once off” and we will not see his like again. 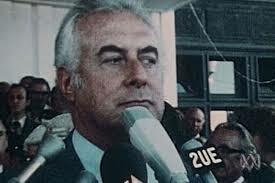 Vale Edward Gough Whitlam. * Sean Barry is a PhD Candidate, School of Government and International Relations, Griffith University. G-20 in Brisbane: Are we Winning the War on Offshore Tax Evasion?